Ilze Tulleken is the director of the theatre's fiftieth anniversary play, The Sleeping Prince. GEORGE NEWS - This year the George Society of Arts celebrates 50 years on the stage of the Arts Theatre, George's very own theatre. 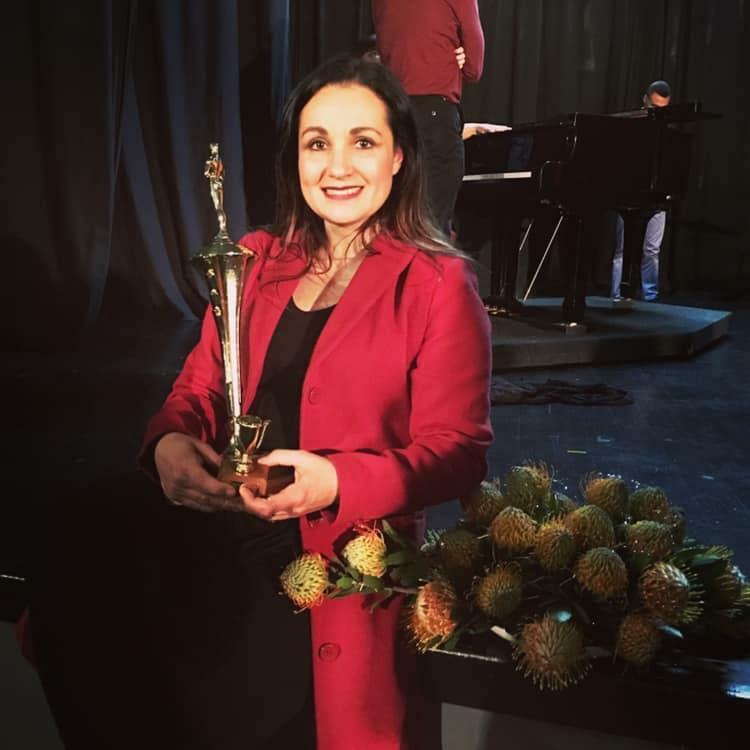 For 50 years, the theatre has woven itself into the fabric of the George community, bringing out the uniqueness, colour and beautiful textures that make up our Garden Route town. The George Society of Arts, currently in its 71st year of existence, purchased the building in 1969 for R12 000 and spent another R14 000 on renovations to convert it from a public school, turned cinema, into a theatre. The beloved old lady has had a few face-lifts over the years. Today, thanks to the sponsorship of Oakhurst Insurance, it boasts a new designer look and is known as the Oakhurst Insurance George Arts Theatre. Reviving the very first production put on stage to celebrate its golden birthday, the George Society of Arts is elated to present The Sleeping Prince, a play by Terence Rattigan, directed by Ilze Tulleken. Together with a gifted local cast, Tulleken will transport the audience back to London in 1911, where Prince Charles, regent of Carpathia, is dealing with political turmoil in his country and a strenuous relationship with his son, King Nicolas, until the delightful actress Mary Morgan adds love to their hearts and awakens long-forgotten emotions. 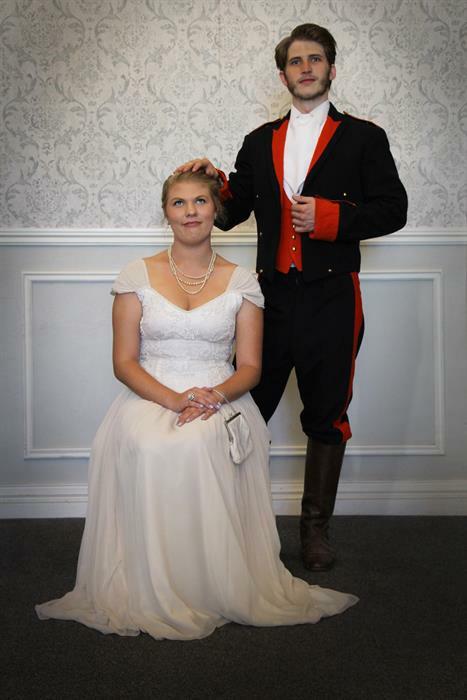 The witty humour and royal politics of the time promise to entertain the audience and tug at the heartstrings. 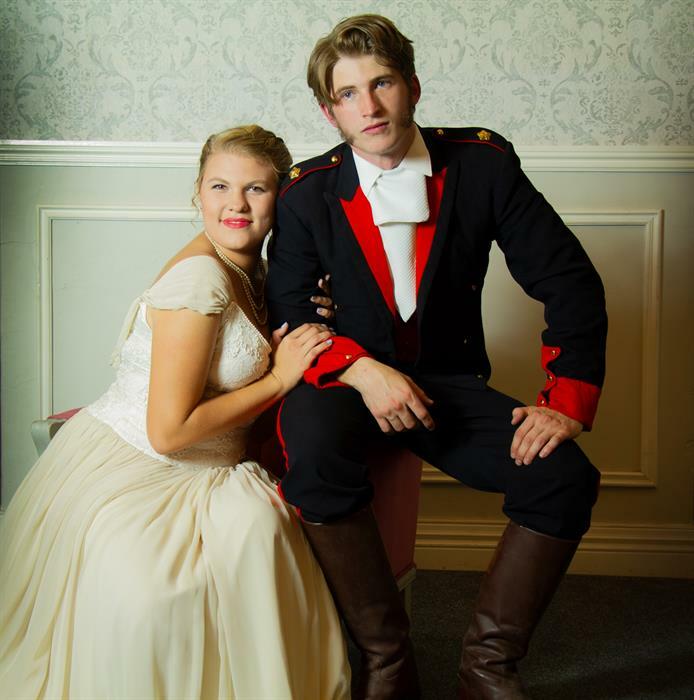 Alicia van Zyl as Mary Morgan and Aidan Hyland as Charles, Prince Regent of Carpathia. Join us to celebrate 50 years on the George Arts Theatre stage with this delightful play featuring incredible local talent from the inimitable director's chair, crazy talented cast, props whizzes and steadfast stagehands. The Gala evening is on 6 April, to be followed by shows on 7, 10, 11, 12, 13 and 14 April. Tickets are available at Computicket and at the Oakhurst Insurance George Arts Theatre. For more information, click here.